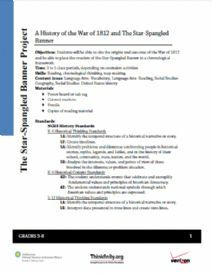 Using this classroom activity, students will be able to cite the origins and outcome of the War of 1812 and be able to place the creation of the Star-Spangled Banner in a chronological framework. 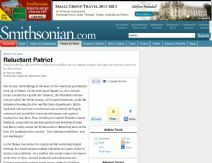 The activity includes a narrative about the war of 1812 and the history of the Star-Spangled Banner, vocabulary, discussion questions and extension activities. 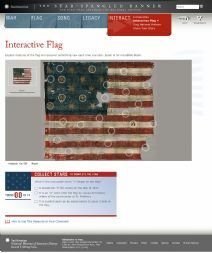 It is included in the online exhibition from the Smithsonian's National Museum of American History entitled The Star-Spangled Banner: The Flag that Inspired the National Anthem.